All the news and special offers on our great ranges of oak furniture and beds, mattresses and sofas. Recently we have seen an increase in enquiries and sales on the more traditional style of furniture, rather than being seen as old fashioned our customers like the idea of owning something timeless and classic and see their purchase as an investment. Designed with 21st century living very much in mind is the Deluxe Sleigh Mahogany range manufactured by Baker Furniture, an exquisite collection of bedroom furniture drawing inspiration from Victorian times. This range comprises of an eye-catching blend of rich detailing, gracefully shaped curves and exceptional beauty. It is meticulously hand-crafted from solid Mahogany which has been especially selected for its distinctive grain and character, it is then hand waxed to create a deep and rich finish and the dovetail joints have been traditionally hand carved to provide maximum strength and durability. 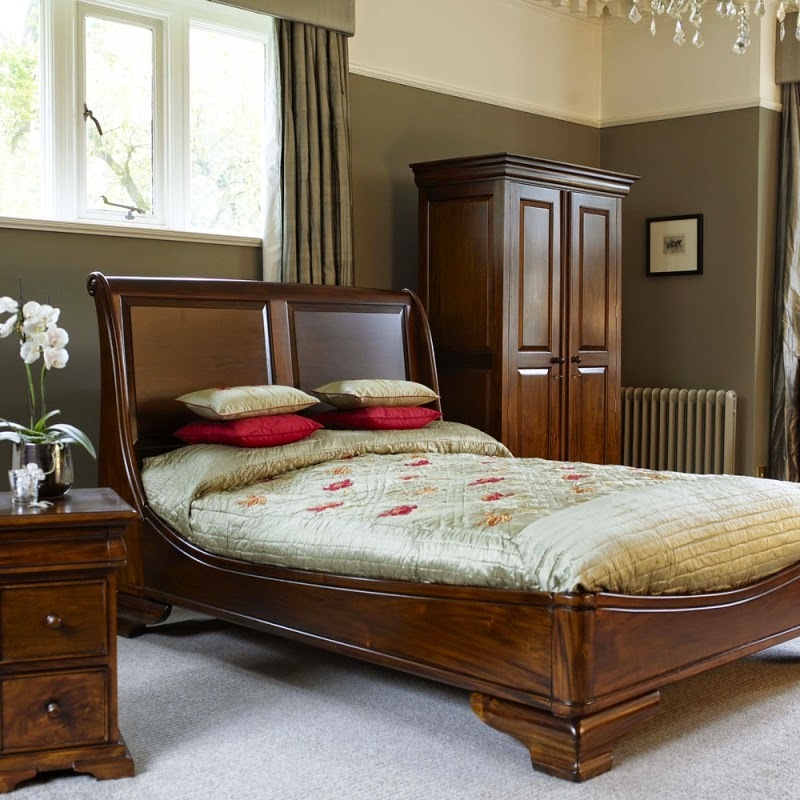 The centre piece in this range would have to be the stunning Sleigh bed available in two designs and a choice of four sizes, to complement this there is an extensive selection of Bedside Tables, Wardobes, Chest of Drawers and Dressing Tables, plenty of choice to create your perfect sleeping sanctuary. For more details on the Deluxe Sleigh range visit our website www.koalafurnishings.co.uk or call in to one of our stores. Kids Just Wanna Have Fun this Easter! Koala Furnishings LTD. Theme images by gaffera. Powered by Blogger.